Controversy, or as some may call it, treason, continues to surround ex-National Security Adviser/full-time foreign power adviser Mikhail Michael Flynn. The week began with quite a shock – terrible person and House Oversight Chairman Jason Chaffetz (R-UT) made us all think he was actually going to do his job. Chaffetz declared that it looked like Flynn did not disclose payments from Russia and therefore may have broken the law. Shame on us for believing that Diogenes suddenly lighted up Chaffetz’s sour mug. Chaffetz quickly followed his comment on Flynn’s guilt by saying that like rain on your wedding day and a fly in your chardonnay, Flynn being Trump’s National Security Adviser while taking money from Turkey was all Obama’s fault; the Obama administration didn’t vet Trump’s own appointee well enough. After Chaffetz launched this trial balloon, it followed the Trump administration everywhere like a red balloon follows a little French boy. White House Spokesman Sean Spicer denied the Trump administration had any responsibility to vet Flynn. On Friday, Trump jumped on board saying that since the Obama administration renewed Flynn’s security clearance once upon a time, he didn’t need to vet him. Possibly related information: Obama fired Flynn in 2014, Flynn sold his wares to foreign governments occurred after 2014, Trump fired acting Attorney General Sally Yates when she warned him about Flynn, and Trump said Flynn “did nothing wrong” after Flynn resigned. The plot continued to thicken this week when the White House refused to comply with a bipartisan request from the House Oversight Committee for documents on what Flynn did disclose when he was vetted to be National Security Adviser. Also, NBC News reported that Trump did do a background check on Flynn “very casually” and was aware of Flynn’s receiving money from the government of Turkey. That’s our cliffhanger ending for this week . . . stay tuned! As his 100th day in office approached, Trump was especially hungry for ratings this week. He made a lot of big threats and headlines and backed them up with a whole lot of nothing. Obamacare and the Wall – No, that’s not the name of a new buddy comedy. Trump threatened the Democrats this week to pay for his border wall or he’d withhold funding for Obamacare. He claimed he was even willing to let the Democrats shut down the government in order to get funding for the wall. This was one game of political chicken the Democrats couldn’t screw up. So the Dems and Trump sped toward each other, the Dems held strong, like a bunch of young Kevin Bacons, and Trump blinked. He funded health care, and said he’ll ask for the wall again in September and that he didn’t really even want it now anyways. Premature Pulling Out (of NAFTA) – The Trump administration floated the rumor that an executive order to pull out of NAFTA was ready for Trump’s “hungry for power” signature. Trump instead said that he’d try to renegotiate NAFTA, but only because Mexico and Canada totally begged him to. No(rth Korea) Breaking News – Trump has not been quite beating the war drum on North Korea, but he’s at least been tapping the hi-hat. He made a big show this week by busing over the entire U.S. Senate to the White House for a briefing on North Korea. What could this unprecedented summons to an emergency briefing in the White House mean? It turns out, nothing. According to one GOP senator, there were not “even straight answers on what the policy is regarding North Korea and its testing of ICBMs [intercontinental ballistic missiles].” However, Trump did accomplish getting us all on the edge of our seats/nuclear bunkers to find out what would happen. Treasury Secretary Scrooge McMnuchin unveiled the Trump tax reform plan this week. Actually “unveiled” and “plan” might be too generous. He shared a one page bulleted sheet that looked like something a kid scribbled down in a hurry before the bell rang because he forgot to do last night’s homework. It’s not worth getting worked up on all the details now since we’re likely months away from anything substantive. However, here’s a little taste in case you want to change your worry diet this week from nuclear war or immigration raids to tax reform fueled deficits. Get rid of taxes on the rich (the Alternative Minimum Tax (AMT)) and the super rich (the estate tax). Lower corporate tax rate to 15%. Eliminate all tax deductions other than mortgage interest and charity. This includes the deduction for state and local taxes paid (so if you’re in NY or CA, that’s huge). Pay for deductions with “growth”. I think they mean growth in the economy, but it may be the growth of a giant beanstalk from magic beans. Not sure which one is more likely. New York Times columnist Neil Irwin noted that under this plan Trump would likely benefit tremendously. For example, if the AMT had been eliminated in 2005 (the last year we’ve seen Trump’s taxes), Trump would have paid $31 million less in taxes. With the elimination of the estate tax, his heirs would receive his assets tax-free. The Simpsons commemorated Trump’s 100 days in office as only they can. So Much Winning – A judge in the Northern District of California temporarily blocked Trump’s (read: Attorney General Jeff Sessions’s) order to withhold federal funding from “sanctuary cities,” i.e., local jurisdictions that refuse to be forced to participate in federal immigration law enforcement by reporting undocumented immigrants to the federal government). Trump, continuing to bristle at the concept of checks and balances lashed out in a series of tweets at the Ninth Circuit Court of Appeals (note: the judge issuing the order isn’t from that court – the case would be appealed there). Trump followed up his tweetstorm by threatening to break up the Ninth Circuit. Regardless of the long shot odds of that happening, his challenging the legitimacy of the judiciary is causing long term damage to our democracy. Zombie Trumpcare Starving from Lack of Brains – The House Republicans got their greatest minds together and came up with a new health care plan that’s the same as the old plan, but a little worse. Basically, the new plan would allow any state to eliminate protections on premiums for those with pre-existing conditions and eliminate the requirement the plans covers essential things like you know, maternity care or emergency room visits. Republicans thought so much of these changes that they actually exempted their own health care from losing these protections. The impetus for this new bill appears to be Donald’s desire to get something approved in his first 100 days and for the “Freedom Caucus” tea party Republicans to push the blame on to someone else for not getting rid of Obamacare. If Speaker of the House Paul Ryan (R-WI) actually puts this bill to a vote, the Republicans from purple districts are stuck either voting for a bill that will end their careers (and won’t get approved in the Senate) or not voting for it and being marginalized by the party leadership. They are trapped. You can practically hear Ryan saying, “It votes for a health care win or else it gets the hose again.” (Tip of the cap to director Jonathan Demme, who passed away this week). The Republicans are leaning on everyone this weekend to get something passed, so don’t delay in letting your representative know how you feel! Trump Brings All the Mining Boys to the Yard – Someone finally said it. Thank you. The problem with the United States has always been too many national monuments. I can’t remember how many times I’ve seen homeless in the streets or overcrowded classrooms and thought, “Thanks a lot, Giant Sequoia National Monument.” Trump signed an executive order this week to review the national monumentscreated by Presidents Clinton, W., and Obama. Trump’s goal is thought to quench the thirst of the drilling and mining industries by letting them drink the milkshake of these precious lands. Real Slick – Trump signed an executive order this week that could open the coasts of California and Alaska to new gas and oil drilling. What could go wrong? Anything You Can Do I Can Do Eviler – Trump called the Clinton Foundation a “criminal enterprise” during the campaign. I had thought that was a critique, but silly me, of course it was a compliment. Ivanka said she is starting a “fund” – maybe a foundation, maybe an investment fund, maybe a slush fund. Apparently, that’s a trivial matter for Trump’s senior advisor who announced (at an event in Berlin at which she was booed) that she is soliciting funds from companies and countries to support female entrepreneurs. I’m thinking she may have one female entrepreneur already in mind . . .
A Big F@#$in Deal – Congratulations to the Republicans who are in control of the House, the Senate, and the Presidency for passing a resolution to keep the government open for one more week. Huzzah! Senior Staff of Doom – A common topic in our first issues was Trump assembling his Cabinet of Doom. Now his incompetent, unqualified, and destructive cabinet secretaries have begun filling out their own teams. Charmaine Yoest is set to be named assistant secretary of public affairs for Health and Human services. Yoest spent the past 8 years as president of Americans United for Life writing much of the unconstitutional anti-abortion legislation states passed recently as well as arguing that abortion causes breast cancer. Julie Kirchner is ready to become the ombudsman to U.S. Citizenship and Immigration Services, her duty to provide assistance to immigrants. Kirchner was the director of the Federation for American Immigration Reform from 2005 to 2015, an organization that the Southern Poverty Law Center lists as an anti-immigrant hate group. When Trump’s cabinet secretaries can’t find anyone ridiculous enough for their staff, they may just eliminate the positions. Secretary of State Rex Tillerson announced that he is looking to eliminate 2300 jobs in the State Department. In USA Today, Windsor Mann reflects on what do to “When the President’s Native Tongue is Gibberish”. Immigration raids under Trump continue to take a toll on families across the country. The Daily Beast takes you inside an immigration hearing – “Boy to Court: Don’t Deport My Dad”. U.S. Immigration and Customs Enforcement (ICE) launched their Victims of Immigration Crime Engagement (VOICE) hotline this week. The cornerstone of any civil society, VOICE provides the opportunity for people to report others to the government. The “criminal aliens” reported to date though are probably not whom Trump had in mind. 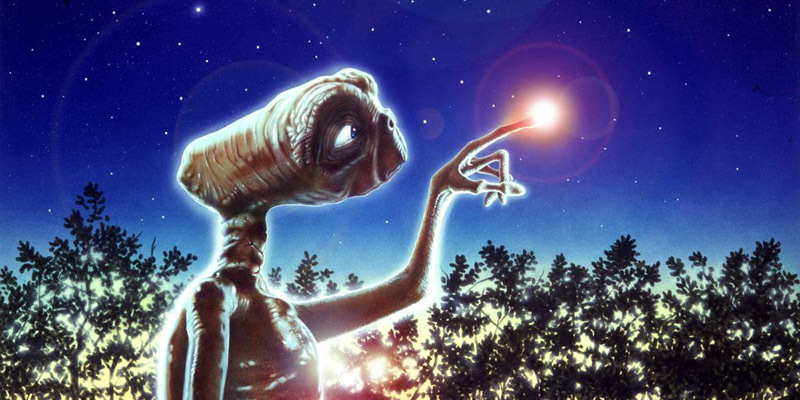 People have been flooding the line to report sightings of E.T., Alf, and Natasha Henstridge. Join in on the fun and save our planet (and our country)!